When it comes to laundry, sometimes certain items need to be hand washed instead of thrown in the washer or dryer. For many people, they wouldn’t even know where to begin in this situation. Below will be a few tips to keep in mind when having to hand wash certain clothing items. They’re are multiple techniques to keep in mind when having to hand wash clothing. With that, there are plenty of mistakes that can be made which can lead to ruining some of the clothing. Just like regular washing machine, separate the lights and darks from one another. Start with the light clothing and then work your way to the dark ones. When the process of rinsing and washing out comes, separate the colors that may bleed to not mix colors or ruin others. Make sure the temperature is correct as well. Too hot of water can make colors bleed which no one wants that so put it at the right temperature. What is that? For Celsius, it’s about 29 degrees and for Fahrenheit, it’s about 82 degrees. Don’t soak clothing for longer than they should. Soaking clothing for too long can damage the clothing such as color, shape and even the fit of it as well. 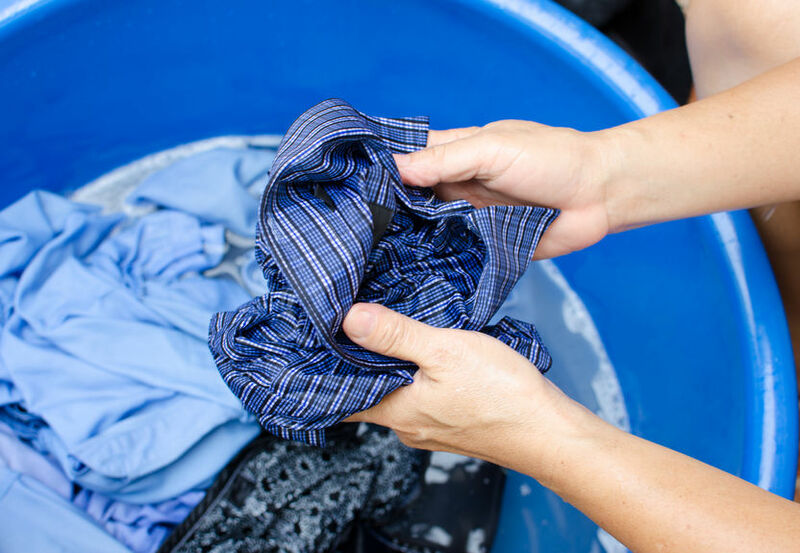 The popular time for soaking clothing is between four to five minutes since that is enough time to clean the majority germs, bacteria and dirt. When they are finished soaking, don’t wring out the clothing. The twisting and contorting the fabric can be detrimental to the clothing. This could be the end of some of the favorite clothing. Instead of wringing out the water, take the clothing out of the water and squeeze as much water out as possible, then place on an absorbent towel, roll it up and continue squeezing the water out. After that, hang on a clothing line and wait to dry. These are a few tips to keep in mind when dealing with hand washing.